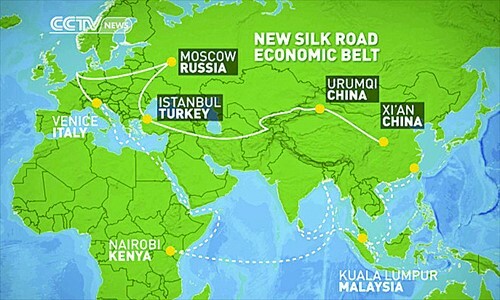 The “One Belt One Road” (OBOR) initiative, first announced in 2013 by Chinese President Xi Jinping, is an extremely ambitious and far-reaching initiative with significant potential to improve the social and economic structure in Asia, Europe, and northeastern Africa, where more than half of the world’s population lives. The OBOR initiative proposes to improve the transportation infrastructure to give rise to closer and larger economic, social, cultural, and political ties. This win-win initiative should benefit more than 50% of the world’s population living in that region and contribute to political stability and peace in the world. The Hong Kong and Beijing subway system development is a useful analogy to help assess the potential impacts of OBOR. The Hong Kong (HK) subway system MTR (Mass Transit Railway) was put into operation in 1979, and has continued to expand for almost four decades. It provides comprehensive, rapid transportation, connecting almost all parts of HK. This allows people greater mobility and increases the interconnectivity of HK which has had tremendous positive consequences in improving economic drivers, social interactions, education opportunities, recreation and cultural activities, etc. Beijing has had a subway for many years. However, its subway system really did not expand and become comprehensive until the turn of the 21st century. In the 1970s, the Beijing subway system was very small and was not used by the majority of people living in Beijing. Even in the 1990s when the subway system expanded a great deal, it was not comprehensive. The map below shows the Beijing subway system in 1997. 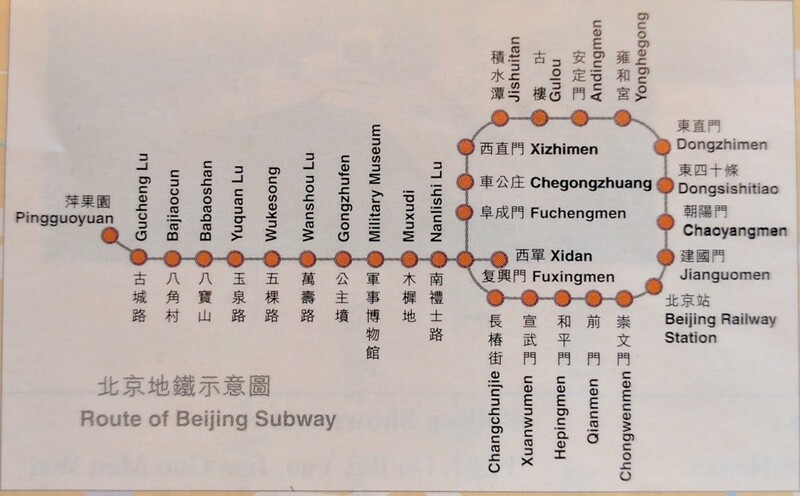 However, since then, the Beijing subway system has expanded (mainly prompted by the 2008 Beijing Olympics) and is now considered a comprehensive subway system. 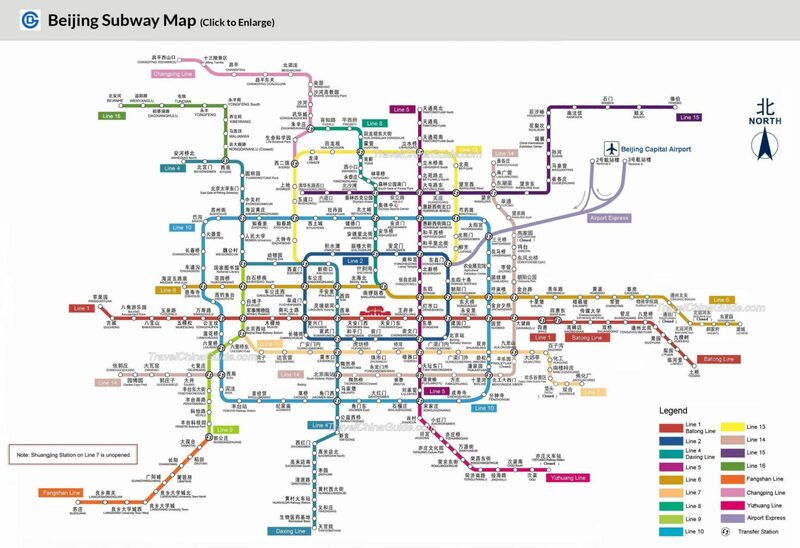 The map below shows the current Beijing subway system in 2017 (although this map also includes some minor planned expansions to 2021.) The expansions provided Beijing with benefits similar to HK such as improving economic benefits, social interactions, education opportunities, recreation, and cultural activities. The OBOR initiative is set to improve transportation infrastructure, connecting various countries in Asia, Europe, and Northeast Africa. One component is the land transportation infrastructure (known as the One Belt), mostly via high speed trains. The other is the sea transportation infrastructure (known as the Maritime Silk Road), via trans-ocean ships. OBOR of course is a much more ambitious and difficult objective than building a metropolitan subway system, because it crosses national boundaries, and involves many different races, cultures, religions, languages, economic, and political systems. However, precisely because of the latter, the potential benefits of OBOR, in terms of regional economic prosperity, political stability, and peace are even more prevalent. The OBOR transportation infrastructure that crosses national boundaries may also lead to increased economic activities in various countries as they expand and improve their internal transportation infrastructure to connect to some of the key centers of OBOR. For example, the One Belt high speed train could potentially allow Russia to connect several of its cities on the Trans-Siberian Railway to one of the One Belt train stations. This could significantly improve the productivity and use of the vast and sparsely populated Siberia. Similarly, towns and cities near a major port of the Maritime Silk Road can connect their internal transportation infrastructure to one of these ports. Perhaps the greatest benefit the OBOR initiative can provide is increased understanding and tolerance of people with different backgrounds, and the recognition of the need to collaborate peacefully with each other in order to achieve the win-win objective. About the author: Don M. Tow is the President of the “New Jersey Alliance for Learning and Preserving the History of WWII in Asia” (www.nj-alpha.org), and the Co-Founder and Vice President of the “10,000 Cries for Justice” (www.10000cfj.org). He has a Ph.D. in theoretical physics from UC Berkeley, and has worked as a physicist and an engineer before retiring to focus on volunteer activities.